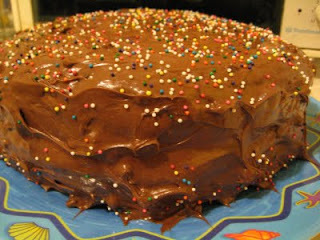 But you remind me that I've been sitting on my mom's killer chocolate cake recipe long enough - will post soon. Now THAT is something I would like to see!! Haha, you can do sloppy circles, you know. As long as you get them roughly near the edges of the pan, you should be good. They still come out of the pan super easy. The separation thing might be because the parchment was all around the cake instead of just on the bottom, but I don't REALLY know what I'm talking about here. I just make a lot of cakes. :P It could just be the combination of the cake and the icing that you used. The red velvet cake I made separated like that too, but only after I refridgerated it. I think it had something to do with the icing being mostly cream cheese. 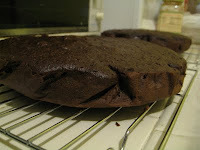 Maybe I will try sloppy circles next time, when I'm not so desperate for cake-eating! 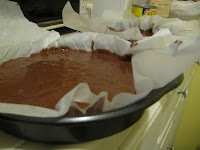 Next time just line the bottom of the pan with parchment, and in order for the layers to stick together, the frosting should be chilled first. Also. Dude. No store bought cake. Homemade is so much easier. Have you made the winning hearts and minds cake from Orangette? It's the best. I haven't tried it yet...but I do not see how that could possibly be easier than box cake (chopping and double-boilering chocolate? that's a lot of work! Or more work, anyway). Tastier, yes. Healthier, perhaps. More impressive, certainly. But easier? Nothing is easier than "just add oil, water and eggs" cake! I am not claiming to have made the world's best cake, here. Just the world's easiest and fastest out of desperation cake! 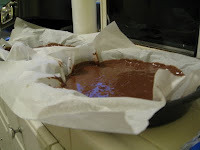 That said, I am usually far too lazy to make any cake recipe that involves melting chocolate and fancy cubed butter. I dream of doing such things someday, but I never actually do it. I <3 Duncan and Betty! Come on people...box cakes are DELICIOUS!!! 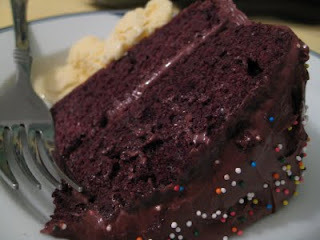 Jeez Kim, torture me with cake story and photos...set me to craving!!! Well, I love all cake and am not biased. 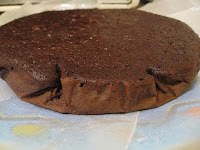 I will eat box cake in a hurry, and love to try a cake recipe anytime. I love the decorating of course as you know. Your pictures are fab. and I admire your determination. Yum yum. 24-hour cake delivery service. Seriously. Necessary.